Three precious Pomeranians and a Dogue de Bordeaux. The kids are owned and loved by their mom, Jill M. Patt, DVM, and dad David Rich, rph. They follow their mom to work every day, help out around the hospital and just fill her world with smiles and love - they are our kids. Because of her lifelong love of the Pomeranian Dog, may people call Dr. Patt the Pomeranian doctor. 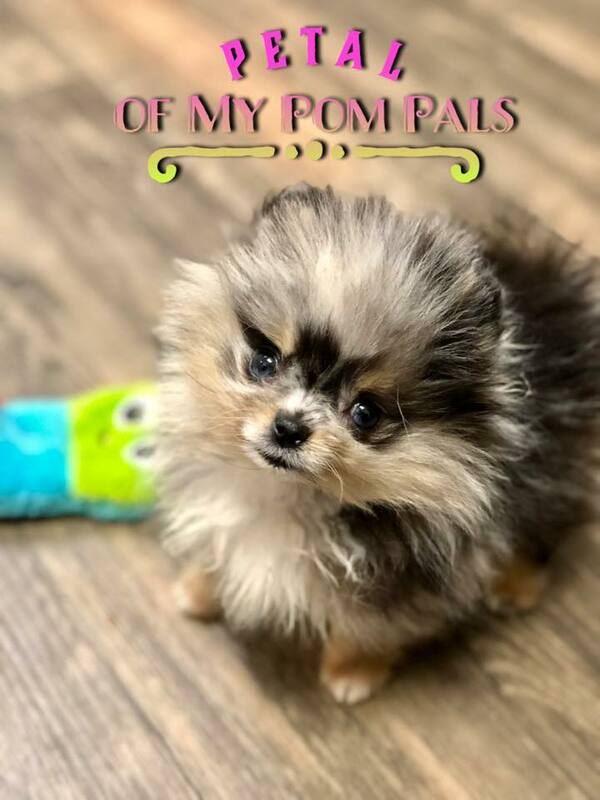 But while she does treat a lot of Pomeranians, she values all animals and treats a large variety of dogs, cats & exotic pets. We are Wookie, Luni, Sprout and Mouse. 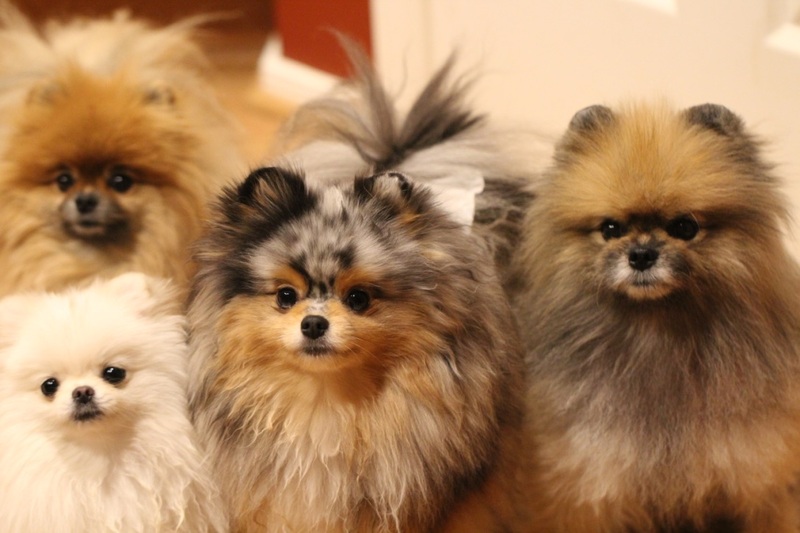 Wookie and Luni are 2 sibling Pomeranians (the entire litter) who live their lives making people smile. Luni is always the good girl and Wookie well um he tries to be good.... Wookie had to have his hip removed at 4 months of age and has a little alopecia issue but nothing in life stops him from charging ahead. He recently had developed a collapsing trachea and had a tracheal stent placed to save his life. Luni models and acts for Arizona Animal Actors, like any princess would, but mostly gives her mom lots of love. 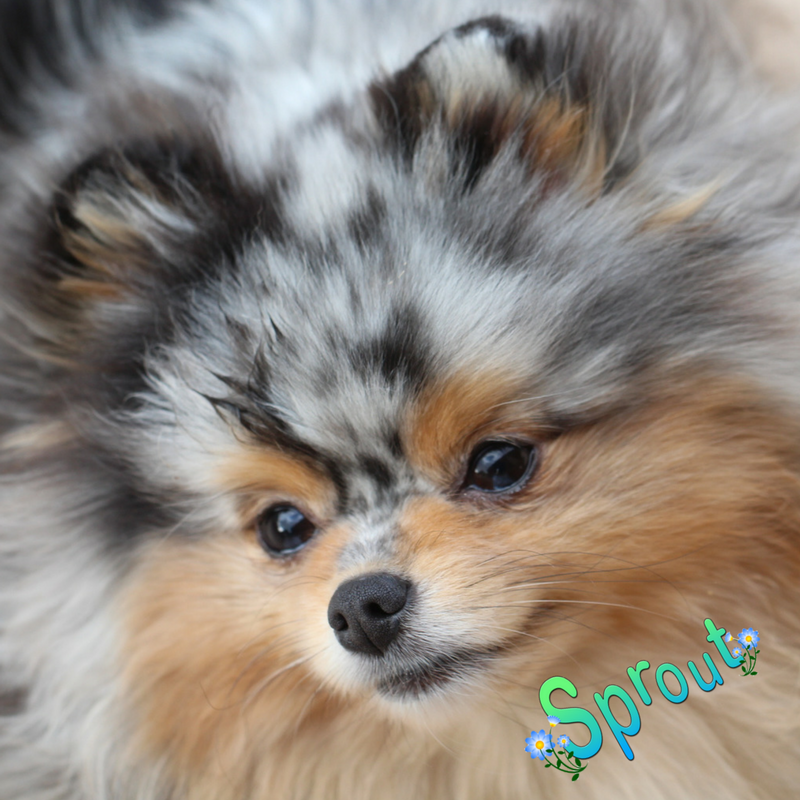 In 2014 we added Sprout to our family a merle Pomeranian with tan points he is already a big part of our family, well loved with tons of charm and character. He has a crazy sock fetish and is always seen with a stolen sock in his mouth. And them came Mouse our 3 lb little girl with a playful and fun loving nature. And the youngest sister, Petal who arrived at 12 weeks old and only 1lb but all love and joy. Because Dr. Patt posts just about everything regarding the “kids” on their Facebook page, these posts have led to the request for a more formal article of the family's experiences together. So, Dr. Patt's article "A Honking Wookie" (see article below) is the story on how they managed Wookie's collapsing trachea, how decisions were made in his care and treatments selected. It delves into the various options and the personal difficulty of making these decisions for him in spite of the fact that Dr. Patt is not only his mom but also aa veterinarian. Her hope is that it will relay useful information to other owners going through this with their dogs and also share the importance of more research into this devastating disease that has no cure. I'm Dexter a Dogue de Bordeaux also known as a French Mastiff. I'm the last child and was raised up by my brother, Sprout. I'm pretty sure I'm just an oversized Pomeranian. (In Memory 2012-1018) Our little angel. 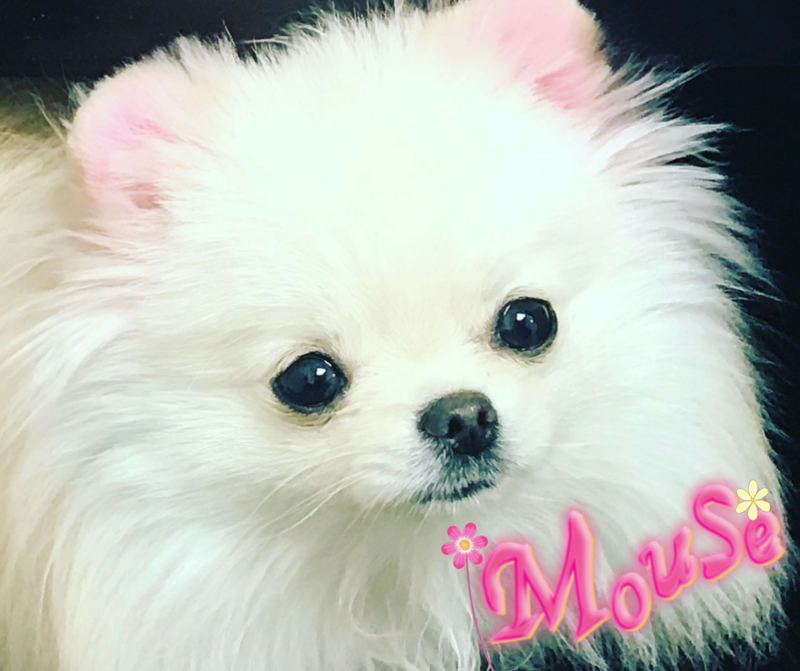 A Honking Wookie Article Written By Dr. Patt regarding her experience with Tracheal Collapse in a Pomeranian Dog.